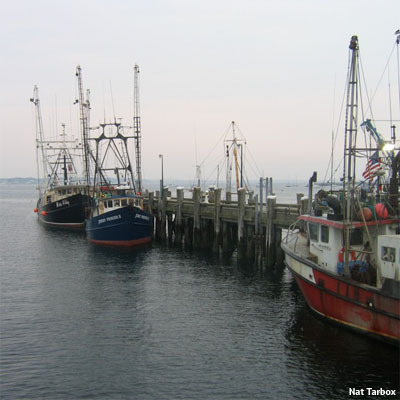 The Measuring the Effects of Catch Shares Project compiles and analyzes data on ecological, economic, social, and governance changes in two U.S. catch share fisheries on the West Coast and in the Northeast. We use a set of scientifically rigorous indicators to report objectively on effects of the catch share programs on fish stocks, fishermen, fishing-related businesses, and local communities. The purpose of the multi-year project is to make the best available scientific data and analyses readily accessible to everyone with an interest the fisheries and to offer unprecedented ways of exploring and interacting with the fishery data. Now anyone can delve into this scientific information to answer his or her own questions about the catch share programs and to engage in well-informed planning and decision-making. The Measuring the Effects of Catch Shares Project does not advocate for or against catch shares. The Measuring the Effects of Catch Shares Project focuses on the Northeast Multispecies Sector Program (established 2010) and the West Coast Shorebased Individual Fishing Quota (IFQ) Program (established 2011). We selected these two catch share programs because they were established recently in fisheries with high political, economic, and ecological importance. Both were implemented in multispecies groundfish fisheries in which some species or stocks had been declared overfished under the Magnuson-Stevens Fishery Conservation and Management Act (MSA). However, the two catch share programs differ substantially in their design, making the results of this study especially informative. Critics and supporters of catch shares have stated a wide range of beliefs about how they expect catch shares to affect fish stocks, catches, discards, profitability, consolidation of the fishing industry, and other important aspects of the fisheries. Fisheries managers, fishermen, legislators, and other stakeholders want to know if the fisheries are being managed in a way that maintains and enhances the economic, social, and ecological benefits and if the cost of implementing catch shares provides an acceptable return on investment. We have developed a set of indicators that are designed to reveal ecological, economic, social, and governance effects of these two catch share programs. The indicators are intended to answer key questions that people often have about catch share programs. We also analyze and report on changes in catch share program design that occur in response to internal objectives or external policy events. In addition, we analyze and provide interactive charts of annual catch limits (ACLs) in the Northeast and in the West Coast programs, as the determination of ACLs can be affected indirectly by implementation of catch shares. A top priority of the project is to communicate the indicator findings in ways that make the information as useful and accessible as possible for decision makers, stakeholders, and the broader public. The project website at catchshareindicators.org is being developed as an online dashboard for fishery managers, fishermen, fishing-related businesspeople, policymakers, legislative staff, journalists, and others interested in the fisheries. Interactive charts and visualizations make it easy for anyone to delve into the best available data and explore changes in the fisheries, datasets can be downloaded for use in other applications, and for each indicator a written analysis highlights key changes and trends. In consultation with members of the target audiences, we are developing new and enhanced features and functionality to ensure that the data and information are provided effectively. Provide a set of neutral, scientific indicators that can be used by fisheries managers, fishermen, and other interested parties to determine how groundfish catch shares have affected fishing communities, fishing businesses, and fish stocks of the Northeast and West Coast. Develop and conduct scientific methods of data compilation and analysis to track the indicators. Use an inclusive, collaborative, transparent approach that ensures the indicators are salient, credible, and legitimate. Communicate the indicators in an objective, accessible fashion so that interested parties can see the effects of catch shares and therefore make informed decisions about the new management systems. We release results for the West Coast and results for the Northeast on a rolling basis as data become available for each fishing year. In 2018, we will release complete results covering the first several years of both catch share programs. The Measuring the Effects of Catch Shares project is funded through a multi-year grant from the Gordon and Betty Moore Foundation’s Marine Conservation Initiative, which supports healthy ocean ecosystems that can sustain food, jobs, and recreation over the long term. The Foundation hopes that this project can provide critical insight into the impacts of these catch share programs and that the findings will be used to make these systems work better for fishermen and the resource on which they depend. © 2017 MRAG Americas, Inc. All Rights Reserved.